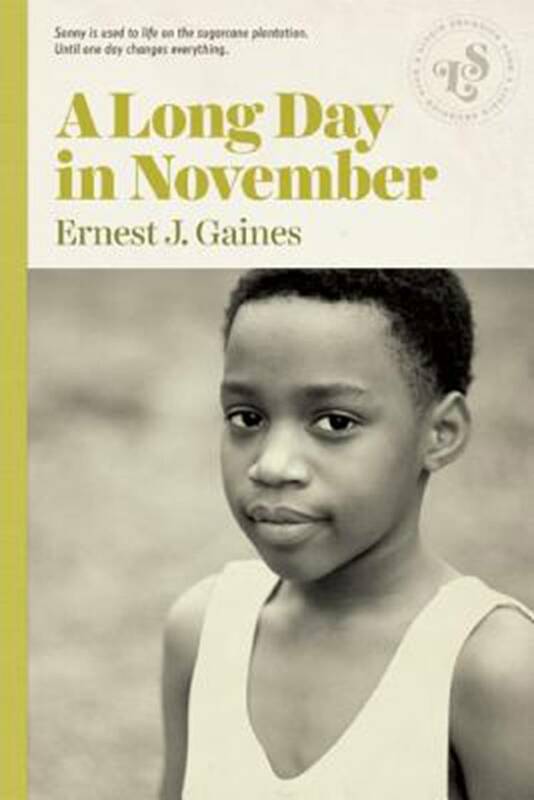 If you believe in Reincarnation, you could imagine that Ernest Gaines was an African “Griot” in an earlier life. 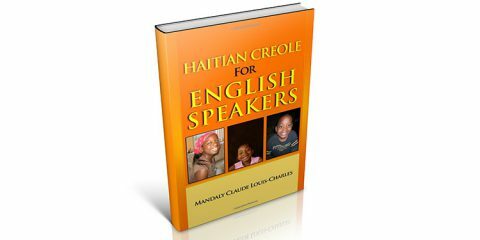 Described as story-tellers, historians, teachers and even ambassadors, a Griot was the African equivalent of the Minstrel of medieval times who travelled widely, recounting news stories and capturing historical events in an era long before newspapers and television made them redundant. 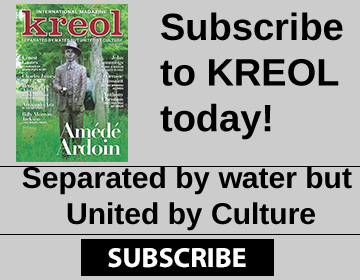 In the oral traditions of Africa, however, Griots maintained sway for much longer than their European counterparts. 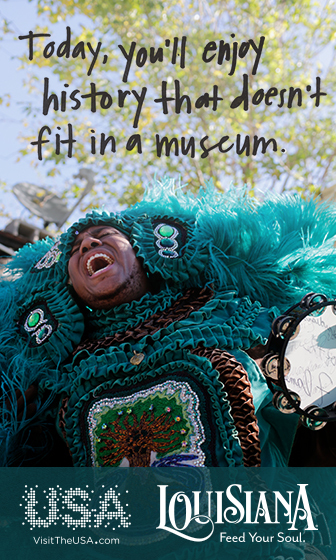 They can be found even to this day in certain communities, capturing the beliefs, values and folklore of the past, through myths, legends and anecdotes. 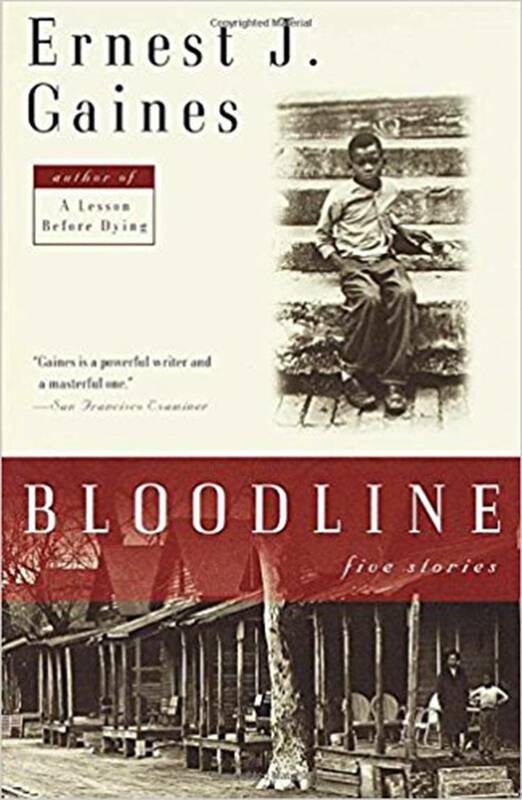 Born in Pointe Coupee Parish, Louisiana, in 1933, Ernest Gaines grew up on the very same plantation where his ancestors had been slaves, before the institution of slavery in the United States was formally abolished in December 1865, many years after the British, French and Dutch. 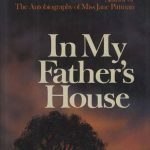 He and his six siblings were raised by their much- beloved aunt, Augustine Jefferson, who, despite a major disability, crawled about the quarters of former slaves, cooking, cleaning and caring for her nieces and nephews. 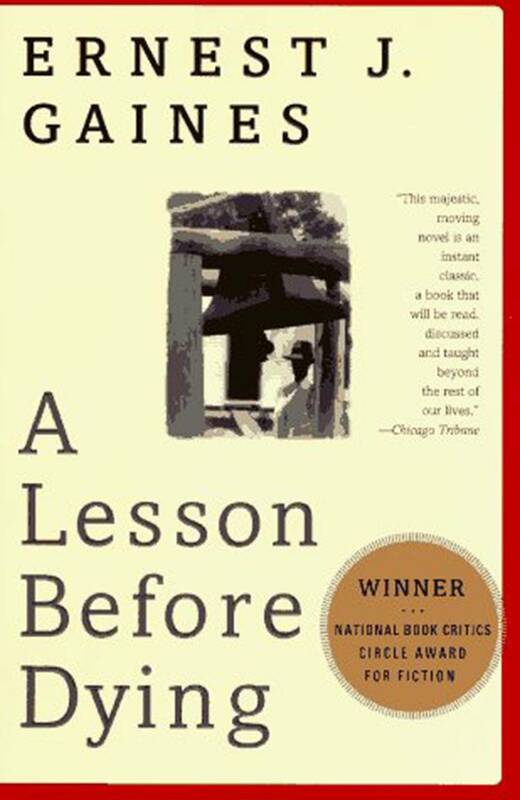 At the age of 15, in 1948, Gaines joined his mother in California. 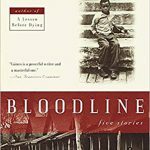 His step father was in the military and his mother worked on a military plantation in the period between World War II and the Korean war. 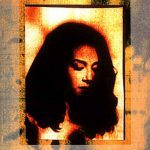 Gaines attended military college and subsequently enlisted in the service. 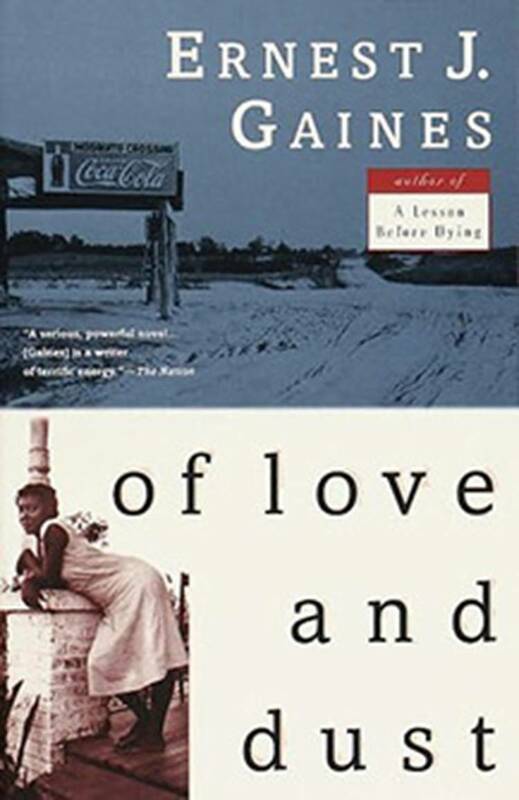 Following his military service, Gaines attended San Francisco State University, after which he won a fellowship to Stanford University in California to study creative writing for one year. 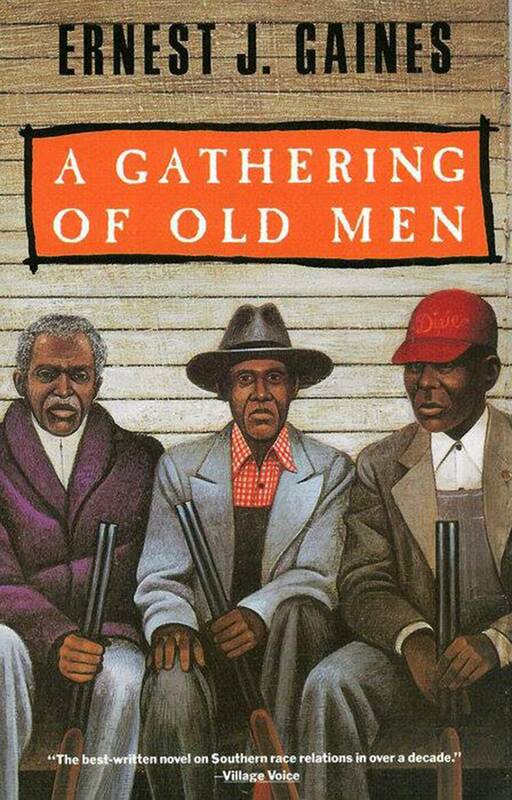 Gaines stepfather was instrumental in keeping his stepson off the streets, out of trouble, thereby pointing the young Gaines in the direction of his future calling. 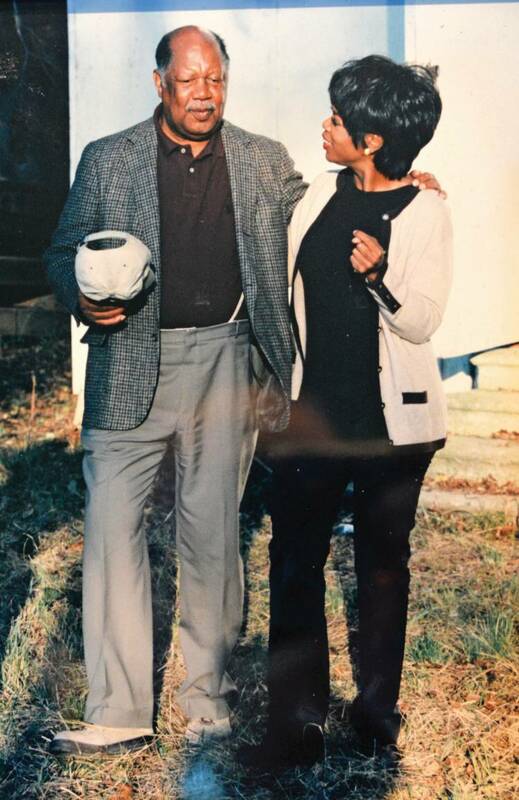 When he moved to live with his mother and stepfather, who at that time were based in Vallejo, California, he was in his mid-teens and was encouraged to visit the library of the Young Men’s Christian Association (YMCA). 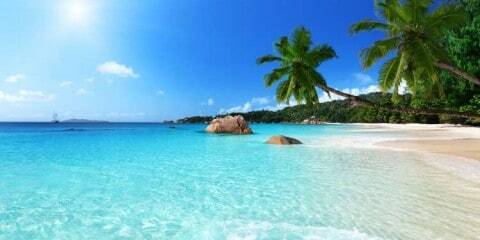 It is there that he discovered books and where his love for reading, and later writing, was born. He admits to falling in love with the works of the mid-18th century Russian writers such as Tolstoy, Dostoevsky and Chekhov. 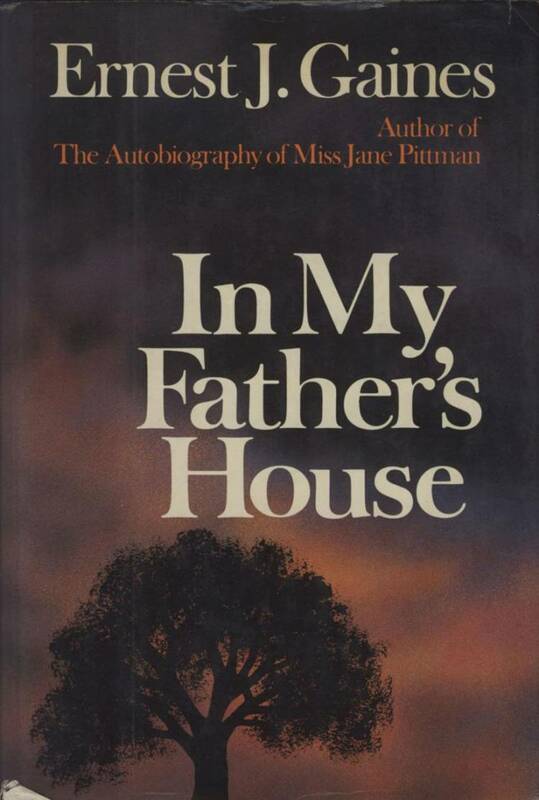 The novel, Fathers and Children, by Ivan Turgenev was one of his favourites. 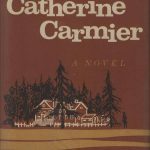 When he was writing Catherine Carmier, it became a bible to him. 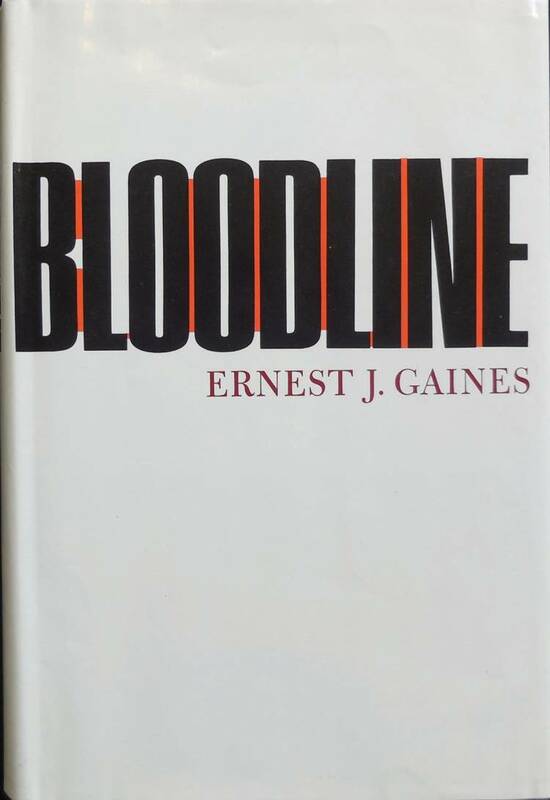 Gaines found that the work of white Southern writers of the 1940s and 1950s fell short and did not satisfy his literary appetite. It was Russian writers who filled that void. 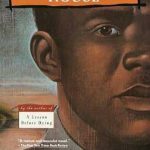 In his view there were too few books about Black people. Although he admits to reading the few that he came across by and about his people. 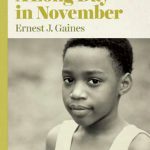 At the same time that Gaines gift for story writing was being nurtured through his Southern experience and studies on the West Coast, Black nationalist writers such as Langston Hughes, Claude McKay and W.E.B Du Bois were having literary impact on the East Coast in what had become known as the Harlem Renaissance. 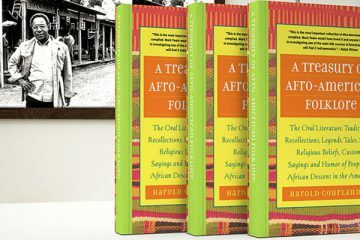 Unlike today when technology enables us to access literature from anywhere around the world by tapping a computer key, Gaines appears not to have been greatly influenced or exposed to the full impact of the Harlem Renaissance in which black authors, musicians, artists, poets and playwrights came to the forefront, alongside black political leaders, such as Marcus Mosiah Garvey. 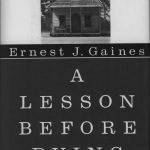 In 1956, at the height of the Beat Era in his junior year at San Francisco State University, Gaines wrote a short story which was published in the college newspaper. 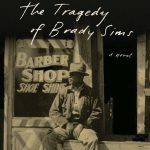 His English literature teacher at the time noted the quality of the work and decided to send the story to an agent, who had recently arrived in San Francisco to establish her own agency. 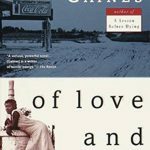 The agent liked his story and contacted Gaines to ask whether he would like her to represent him as his agent. 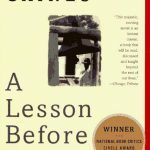 She remained Gaines agent for the rest of her life, encouraging him to read the classics, critiquing his work, all of which was first seen by her. The church that Gaines attended as a youth. It has now been relocated to his own property. 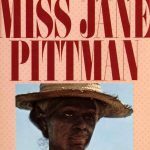 Four of Ernest Gaines’ books have been made into films: The Miss Jane Pittman, A Gathering of Old Men, A Lesson before Dying and a short story, The Sky is Grey. He admits to adopting a very pragmatic, practical approach when first asked about making films based on his books. His only consideration was ensuring that he was paid a fair price, tand hat he was not “ripped off”. 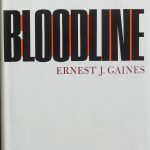 Having seen many films which did not do justice to the book they were based on – including books by Leo Tolstoy and even the Bible – Gaines adopted a tough stance and informed his agent that if Hollywood wished to turn his books into films they would have to pay him a fair price for the honour. 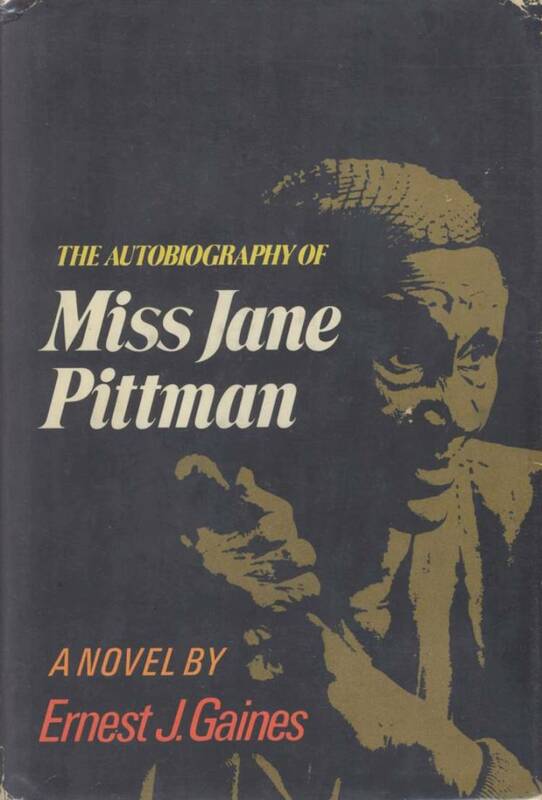 Knowing full well that the script writers would make changes to his books, Gaines had to countenance a white reporter replacing his character of a black teacher from a Southern University in The Autobiography of Miss Jane Pittman. 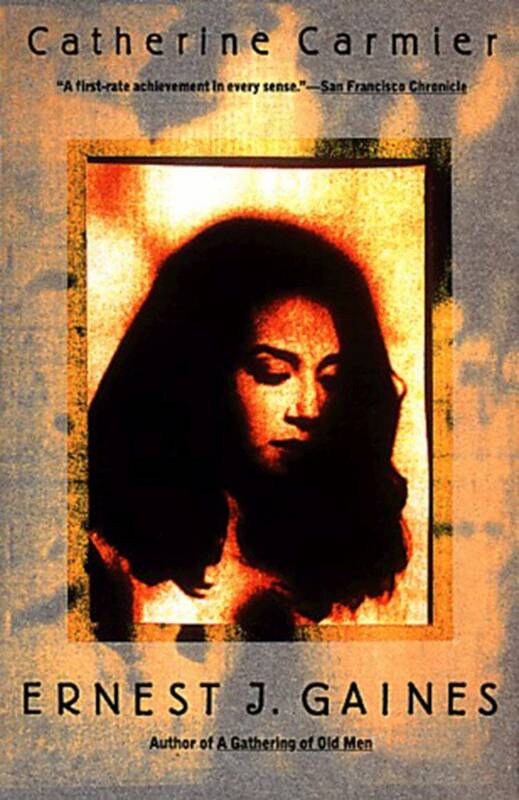 Gaines was prepared to accept that, as the film was made for television audiences. 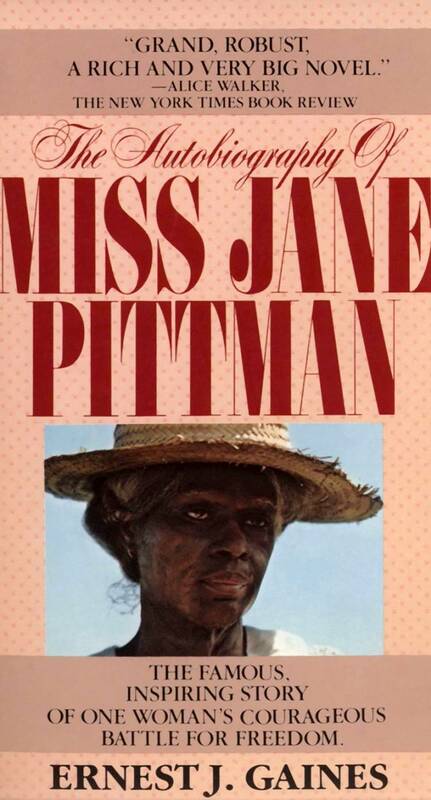 The producers felt that they preferred a white actor and white characters to bring out the story of Miss Pittman. 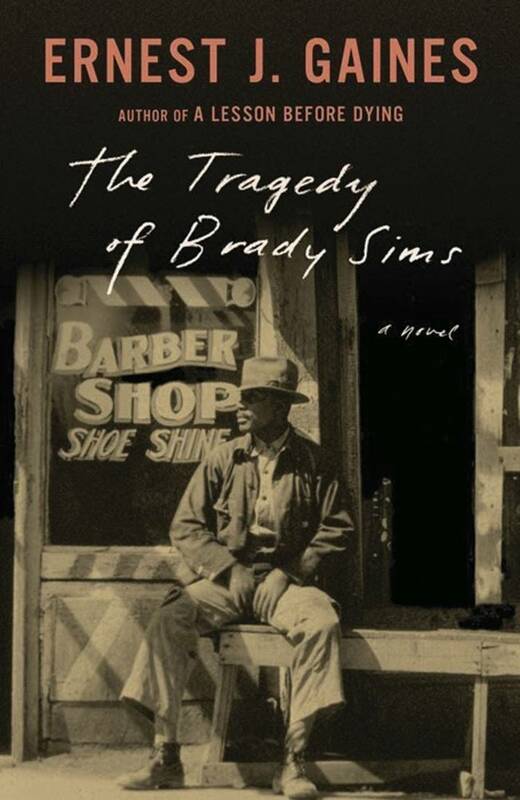 His only hope was the people would read his book after first seeing the film. 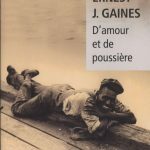 While expressing a strong sense of ownership over his books, Gaines admits that everyone of his books has to be different and this is indeed the case. He expresses this using the imagery of a father and his children, saying that every child belongs to the father, but each child is different, one from the other. 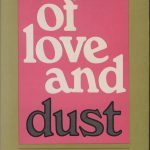 He notes that Of Love and Dust, which took him only seven months to write. 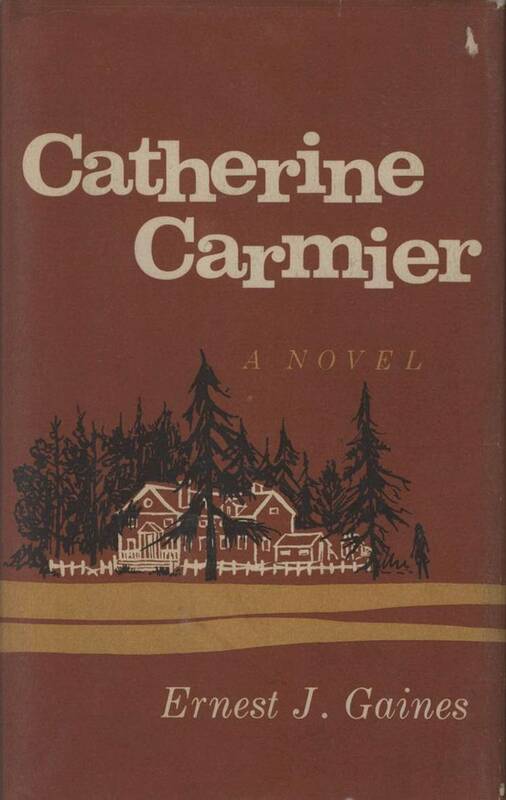 Whereas entirely different from Catherine Carmier. 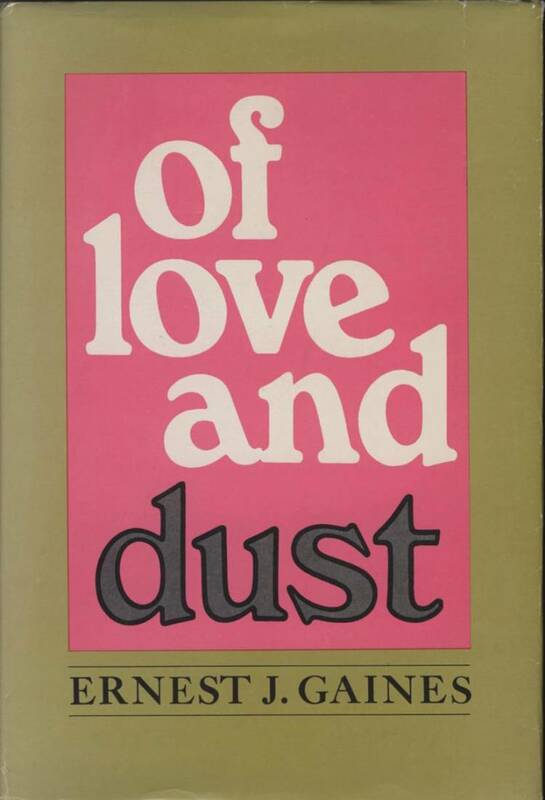 Of Love and Dust is told in the first person and recounts the stories of others in the story. 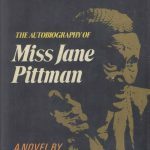 Miss Jane Pittman took him two and a half years to write and that book also is entirely different to the former two. Church that Gaines attended as a youth. It has now been relocated to his own property. 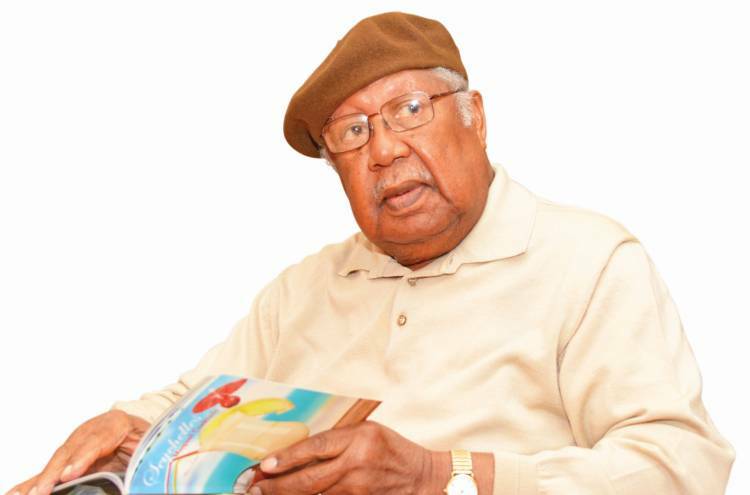 In 1981, Ernest Gaines accepted the position of Writer-in-Residence at the University of Louisiana at Lafayette (formerly University of Southwestern Louisiana), where he taught creative writing. 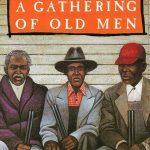 While the author had expected to spend his life trying to support himself through his writing alone, this opportunity to teach and engage in developing a new generation of writers provided him with a satisfaction which kept him rooted to that spot. On his arrival, he had expected to remain for only a semester. 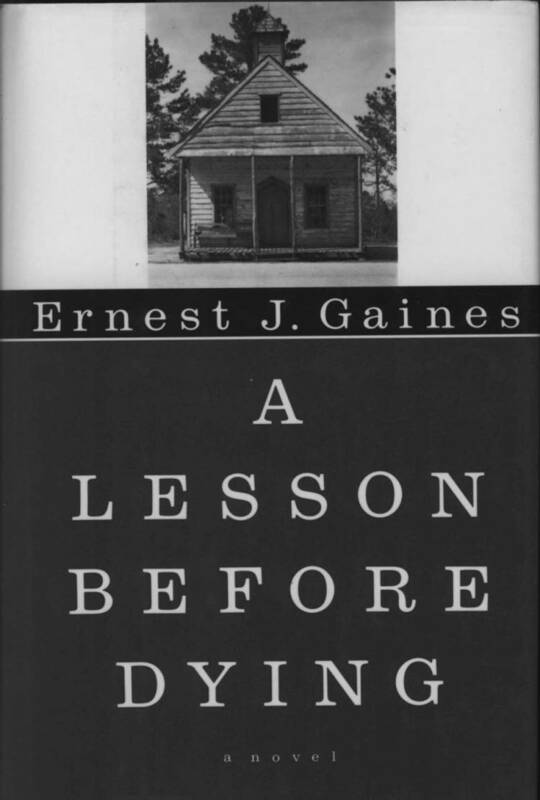 After that semester, the University became Gaines’ base for his future teaching and writing career. 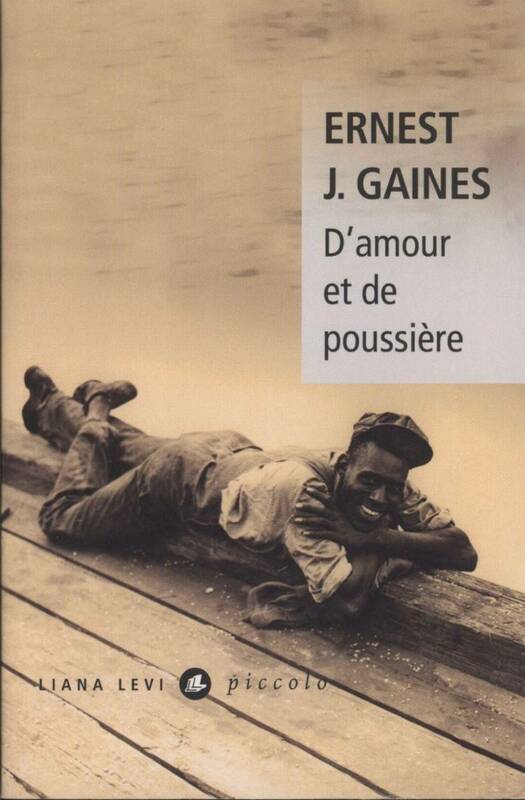 The University of Louisiana honoured Gaines in recognition of his contribution to literature and to the University by establishing an international centre for scholarship on the work of Ernest Gaines. Gaines has received a number of other national honours, as well. 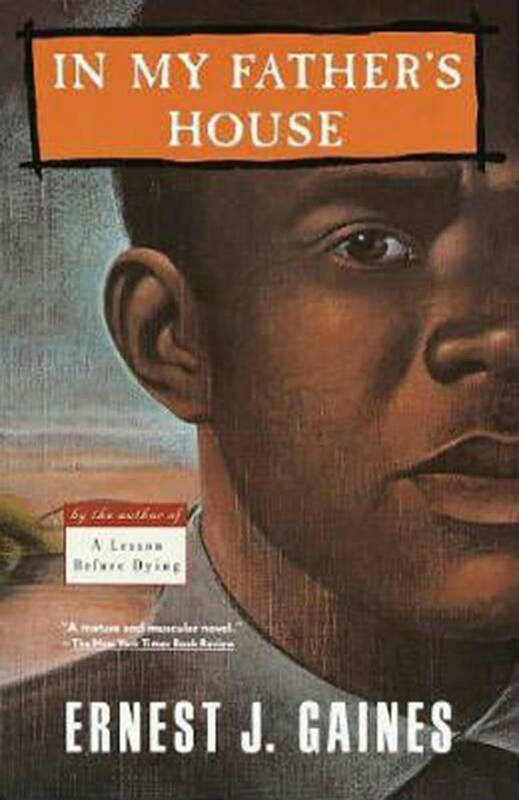 Oprah Winfrey, actress, producer and television show host highlighted Gaines’ book A Lesson Before Dying, and in his own words, made it a best seller. 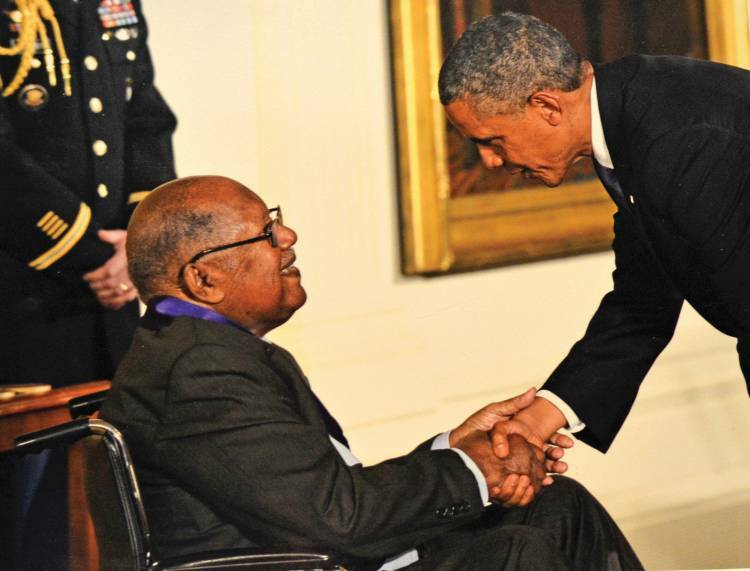 He also won the McArthur Genius Award and has been decorated by two presidents: from President William Jefferson Clinton he received the National Humanities Medal and from President Barack Obama, the National Medal of Arts. 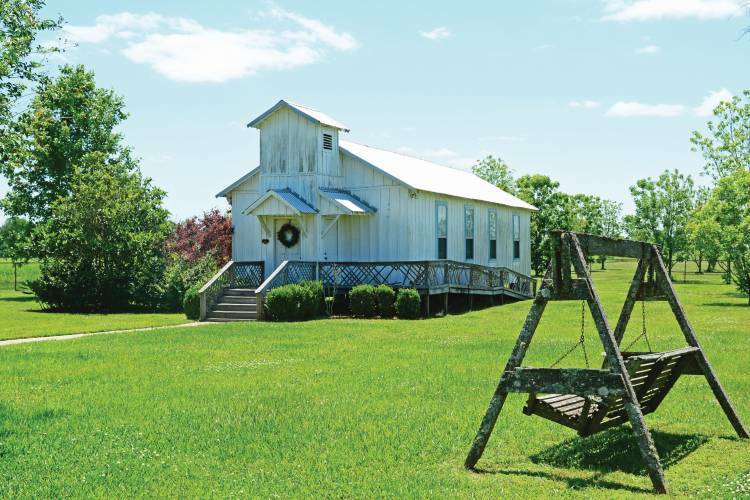 In recent years, Gaines and his wife arranged and enabled the relocation of the little church which he had once attended as a youth, to his own property in the state. 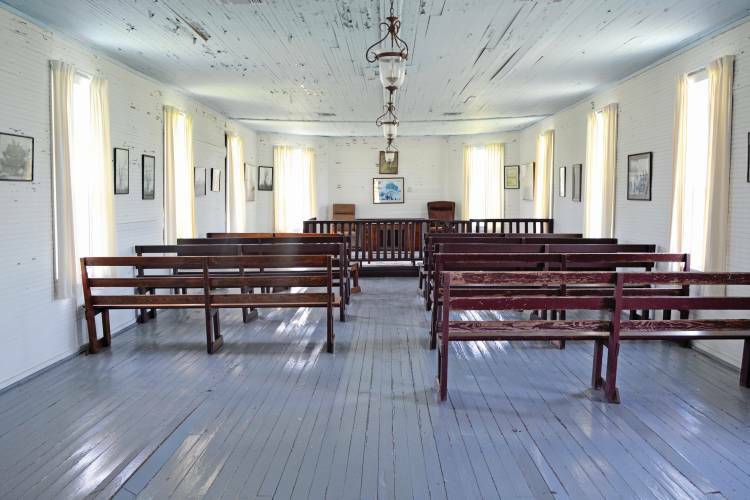 His purpose in moving and restoring this church to the safe-keeping of his own property was to “protect our history”. 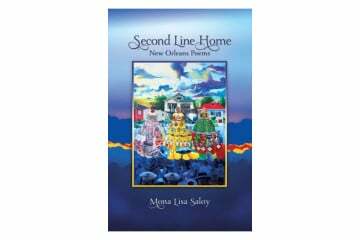 He acknowledges that of the books he has written, the one that resonates the most is a short story entitled Christ Walked Down Market Street, this is the only one of his published stories that is set in San Francisco, California and not in Louisiana. 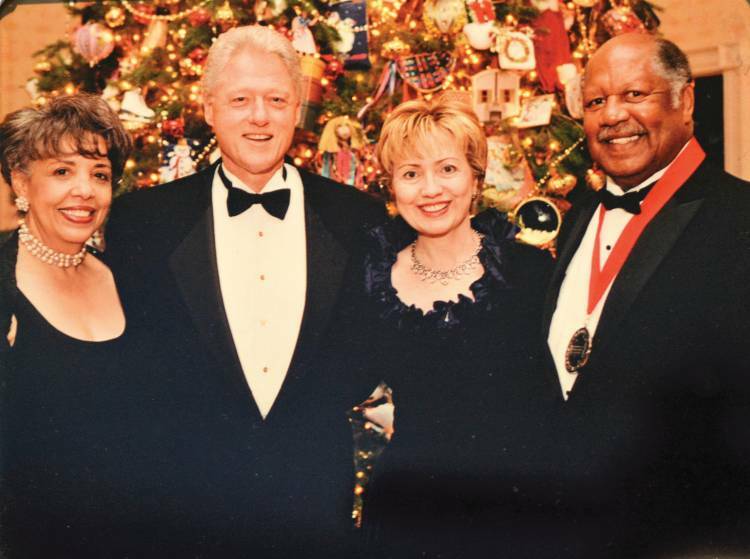 In a 2011 interview, Gaines admitted that he is a very religious person. While believing in God from the standpoint of having faith as much as any man did, his sensibilities and soul told him that there was indeed a Creator of our Earth and the Heavens. Gaines expression of this belief in a Creator evokes a sense that this writer, who has created so many memorable characters through the use of his pen, has a profound appreciation, respect and love for the greatness of the force which created our universe. 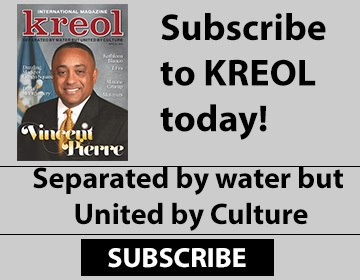 In the same sense that he considers faith in God to be a good thing, this creator of the stories of his people also sees himself as their guardian and protector; a shepherd looking out for, caring and protecting the history of his people in Louisiana.